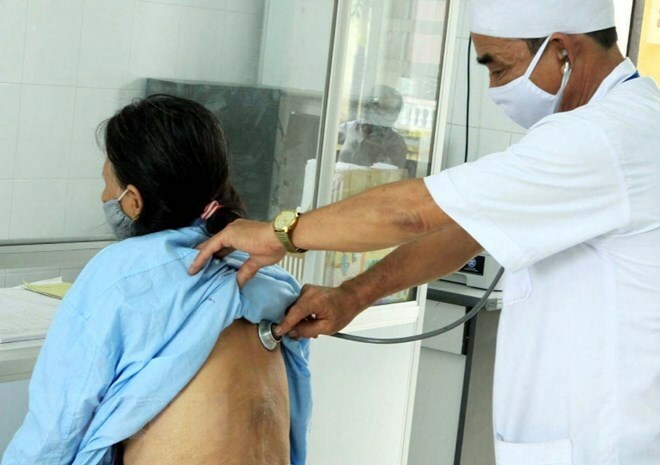 Hanoi (VNA) – The health sector has called for the involvement of authorities at all levels to act for a Vietnam without tuberculosis (TB) patients at a ceremony held recently in Hanoi. The event was organised by the National Lung Hospital in response to the World TB Day 2018 (March 24) themed “Wanted: Leaders for a TB-free world”. “We need the participation of the whole political system. Relevant agencies and local people should be equipped with sufficient knowledge and skills to protect themselves by accessing to available modern TB prevention nationwide”, Director of the National Lung Hospital Associate Prof. Dr. Nguyen Viet Nhung stressed. This year, the National TB Prevention and Control Programme will expand TB screening to suspected drug-resistant tuberculosis cases and 100 percent of new AFB (+) TB patients. Thus, it will increase gene machines, ensure adequate cartridge and falcon supply and build TB patient management models, among others, he noted. On the occasion, the programme launched a writing contest “Let’s together end TB in Vietnam” to raise public awareness of TB and measures to fight TB. Also, the TB Patients Support Fund came into sight to mobilise financial sources for the health sectors to provide more treatment opportunities for TB patients as part of efforts to minimise TB infection in the community. TB remains the leading cause of fatality in the world, leading to the deaths of nearly 2 million people every year, particularly resistant TB has threatened global health. In Vietnam, the World Health Organisation (WHO) estimates that there are nearly 130,000 new cases of TB diagnosed each year, resulting in some 16,000 deaths in Vietnam in 2015. Vietnam ranked 16h among 30 countries with the highest number of TB patients in the world. It also ranked 13th among 30 countries with the biggest burden of multi drug-resistant TB in the world. The country is a leading nation in terms of TB prevention efforts. The rate of successful treatment for multi drug resistant TB in Vietnam is over 70 percent, much higher than the world’s rate of 54 percent.